Ok so who doesnt want beautiful and radiant skin and hair? Who has the time or energy to perform a rigorous beauty routine every morning? Well, I have found the solution to that. NeoCell Beauty Bursts are a chewable gummy that you can just pop in your mouth on the way out the door, in the morning when you get up or anytime of day. 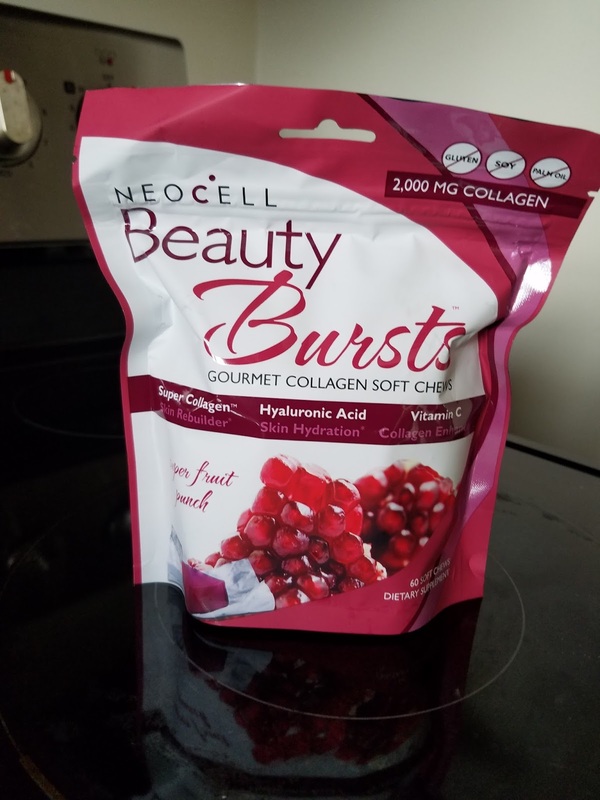 NeoCell Beauty Bursts contain Super Collagen 1&3 which strengthens skin, hair and nails, all while chewing on a soft chew. It also contains Hyaluronic Acid which hydrates the skin and vitamin C which boosts the collagen in the skin. The suggested use it to take 2 to 4 chews a day. I took 2 a day and can tell the difference. 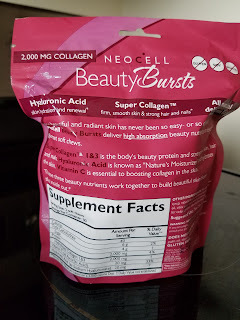 I have the laugh lines and crows feet on my face and after 30 days of using the NeoCell Beauty Bursts I can tell the difference. Lines are almost gone. I dont know about you but to me, that even makes me feel better all around when people notice that you look younger and you can tell them that you did it by eating a soft chew. Neocell Beauty bursts are low in sugar, calories, contain no artificial flavors, lactose and are gluten free. 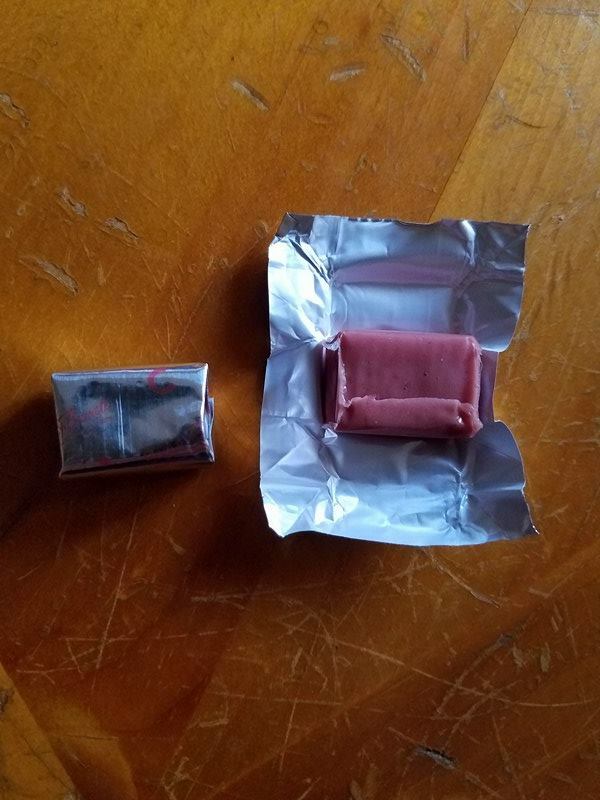 They come in an easy to open wrapper and different flavors. I have the super fruit punch and they also come in chocolate. These are a great alternative to the "horse pills" because they are yummy tasting, easier to chew, swallow, digest and can even be ate as a small snack when you just need that little bit of a sweet treat to get you thru your day. Why not try the NeoCell Beauty Bursts and get the healthy radiant skin, hair and nails and treat yourself at the same time. How would you like to try NeoCell Beauty Burts? If so then simply ENTER the giveaway below and Good Luck!! I'd like to try Biotin Bursts. I love Biotin Bursts! I take them every day! They keep my hair and nails healthy. Both grow faster and are stronger, since I started using Biotin Bursts. I'd like to try the Hyaluronic Acid Blueberry Liquid. 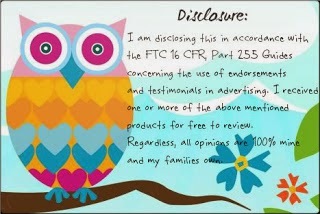 I would also like to try the Super collagen C.
I am eating one of the berry flavored ones right now. They are delicious and soft so i like them. I hope to try the chocolate mint flavors next. I've been wanting to try the Reservatrol to keep my immune system healthy. I would like to try their Super Collagen capsules. I'd like the HYALURONIC ACID BLUEBERRY LIQUID. I would also like to try the Tropical Tang Joint Bursts.